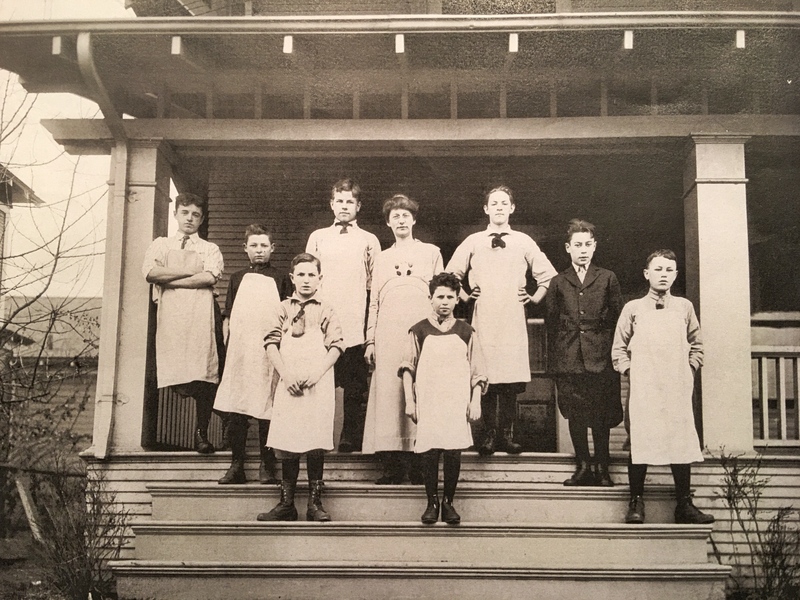 Northeast Portland’s Foxchase: What’s in a name? If we asked you to find Foxchase on a map, could you? 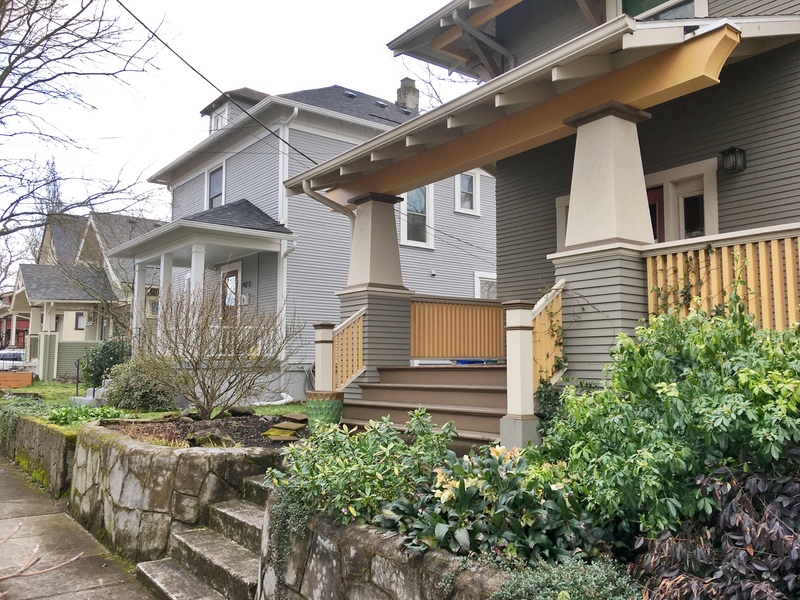 Here’s a clue: it was one of a dozen different subdivisions created more than 100 years ago that taken together today make up what we think of today as northeast Portland’s Concordia neighborhood. Here’s a visual clue: then-and-now photos of the same place, separated by 63 years. 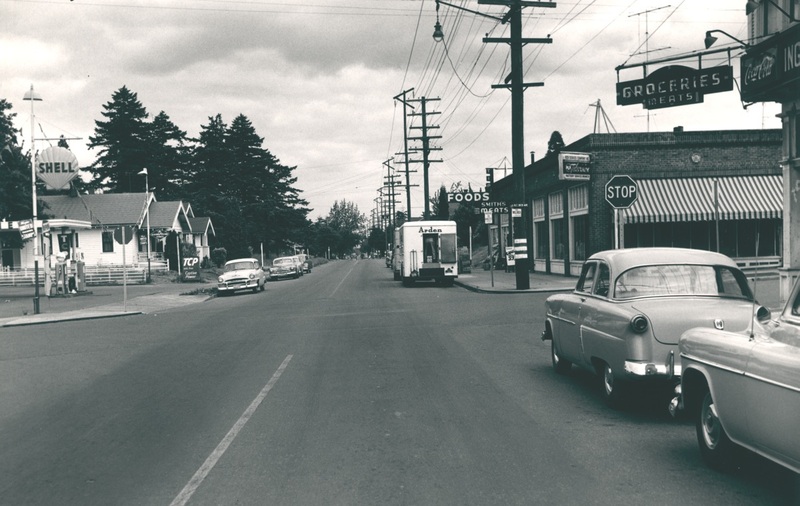 Then: Looking east on NE Killingsworth at 30th Avenue, 1954. 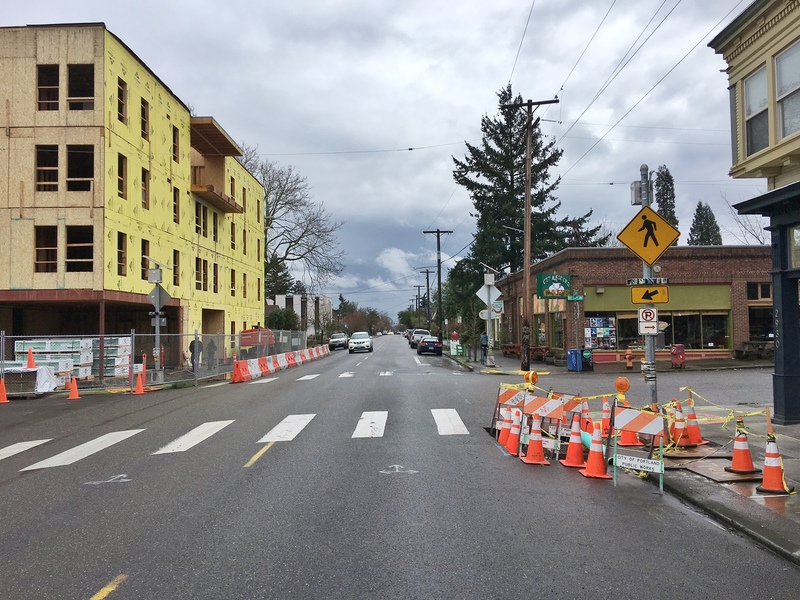 Note stop signs faced traffic on Killingsworth. 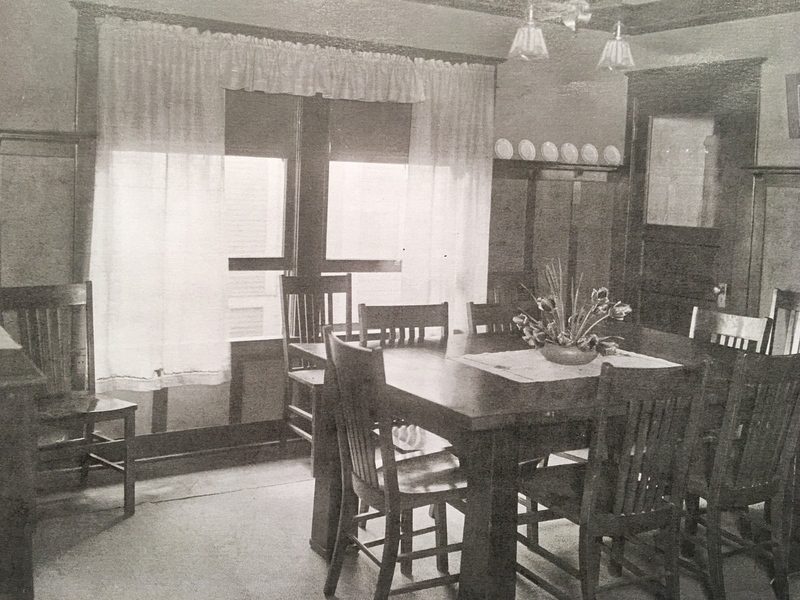 The building with the striped awning is today’s Cup and Saucer Cafe. 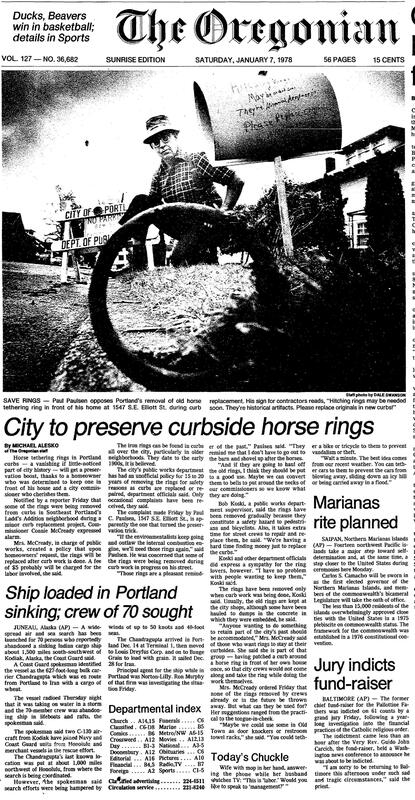 Photo courtesy of City of Portland Archives, reference A2005-001.365. Now: NE Killingsworth and 30th Avenue looking east, March 2017. Lots of change in this photo: the Shell station on the northeast corner (which we knew for years as a U-Haul rental place) has been replaced by a type of massive apartment block that has become ubiquitous on Portland’s eastside. 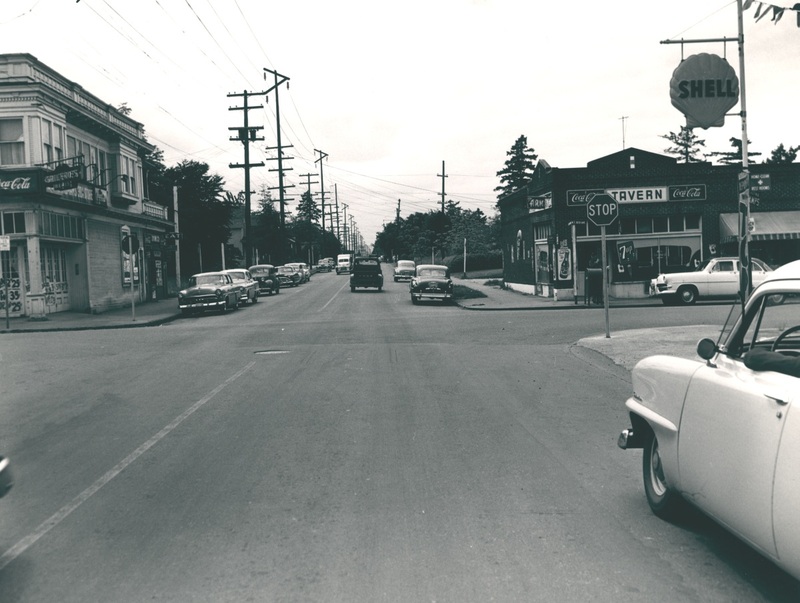 Then: Looking west on NE Killingsworth at 30th Avenue, 1954. How about that stop sign? By the time this photo was taken, the Alberta Streetcar that traveled down NE 30th Avenue to Ainsworth had been gone six years, but the “through street” mentality was still more with 30th than with Killingsworth. Photo courtesy of City of Portland Archives, reference A2005-001.366. 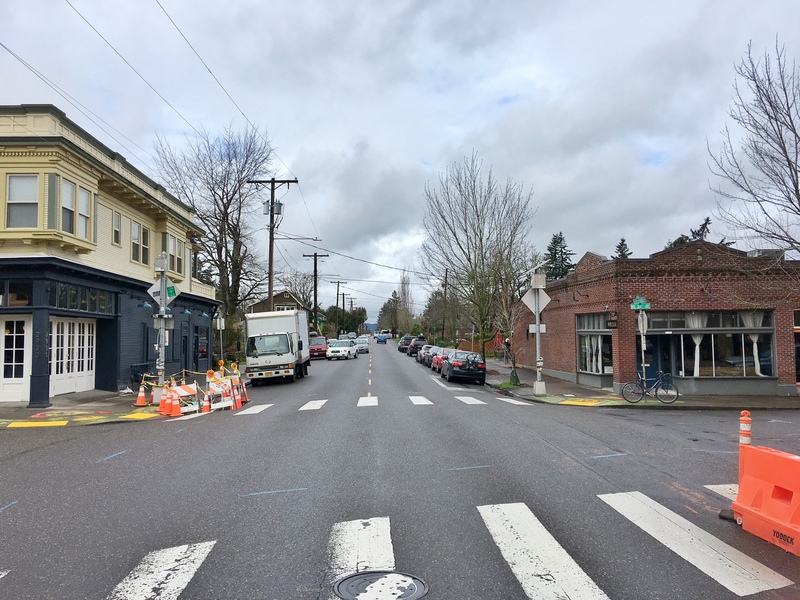 An unscientific survey taken on a Friday morning walk with the dog turned up the fact that most local business owners at the increasingly busy intersection of NE 30th Avenue and Killingsworth know they are in Foxchase. There are some Airbnb’s in the area identifying themselves as being in “Fox Chase.” And maybe a few residents who think of themselves as Foxchasers too. But chances are if you tell a friend “I’ll meet you in Foxchase for a beer,” they’re going to need directions. 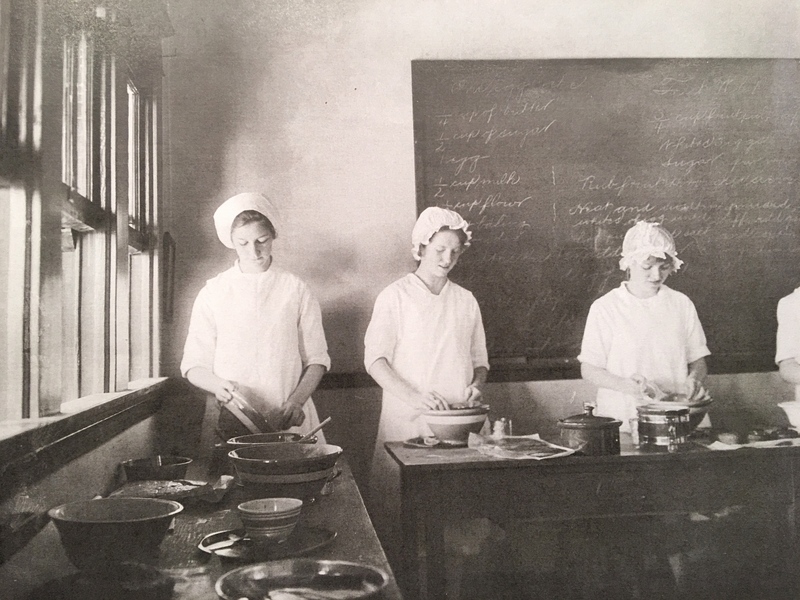 So when we came across the 1954 photos recently and were already doing some serious digging into how the Foxchase plat came to be—and it is a fascinating story—we thought it was time to set the record straight with a little history. Only the numbered streets retain their identity today. McCaffrey = Alberta. Junker = Sumner. Alvan = Emerson. Birch = Killingsworth. The intersection of NE 30th and Killingsworth anchors the northwest corner. 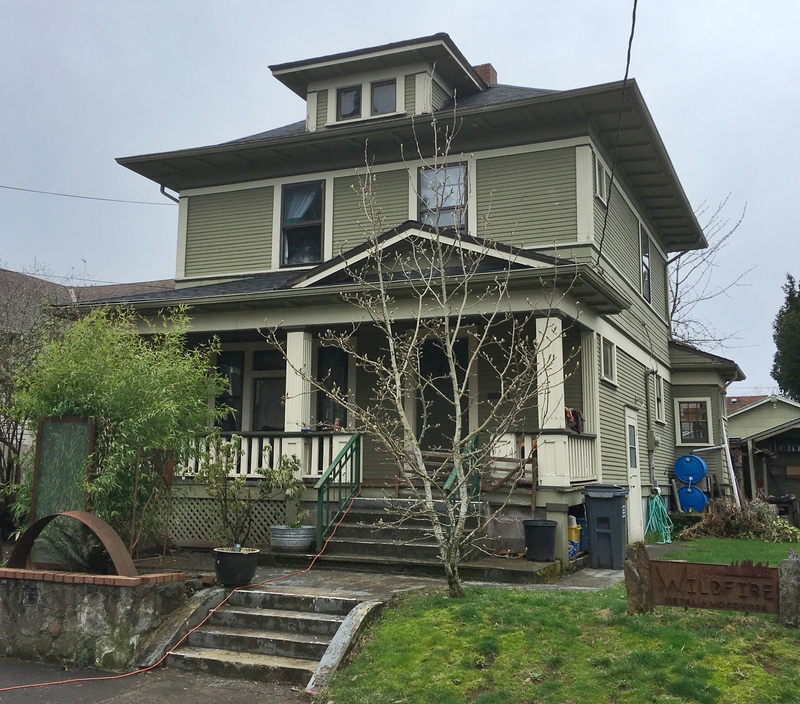 The 1889 Foxchase plat was actually filed in the town of East Portland. 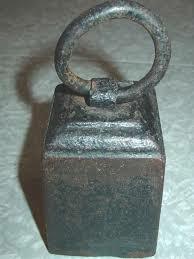 At that point we were a separate city distinct from Portland, as was Albina and several other outlying communities. In 1891—in an attempt to roll together the greater Portland area population into one number that would keep us ahead of Seattle—the three towns consolidated to became one (46,385 people in Portland + 10,000 people in East Portland + 5,000 people in Albina = 61,385 people total in the Portland “metropolitan” area). Take that, Seattle (total 1890 population: 42,837). 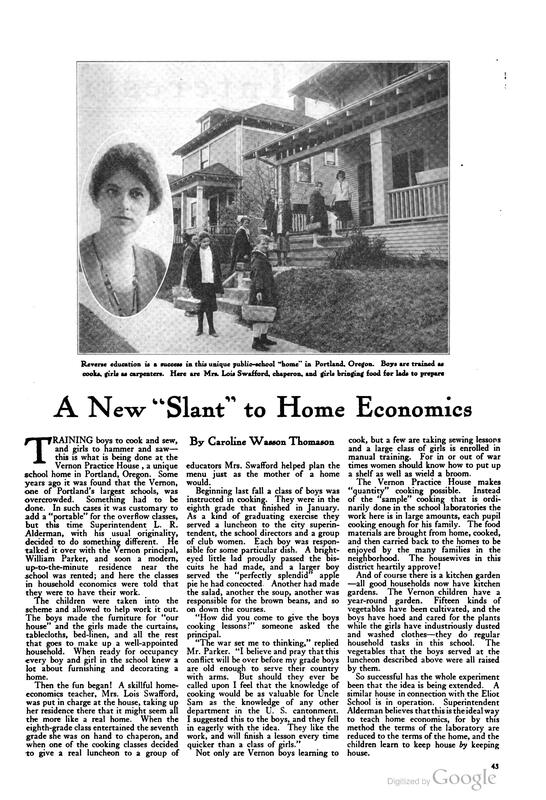 Not long after platting the property, J. Carroll McCaffrey started running classified ads in The Oregonian and the land speculation boom was on. 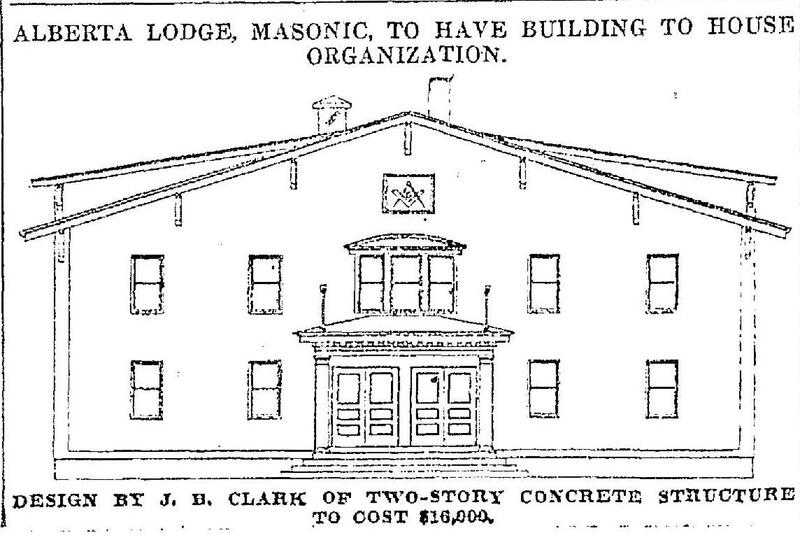 From The Oregonian, February 19, 1890. 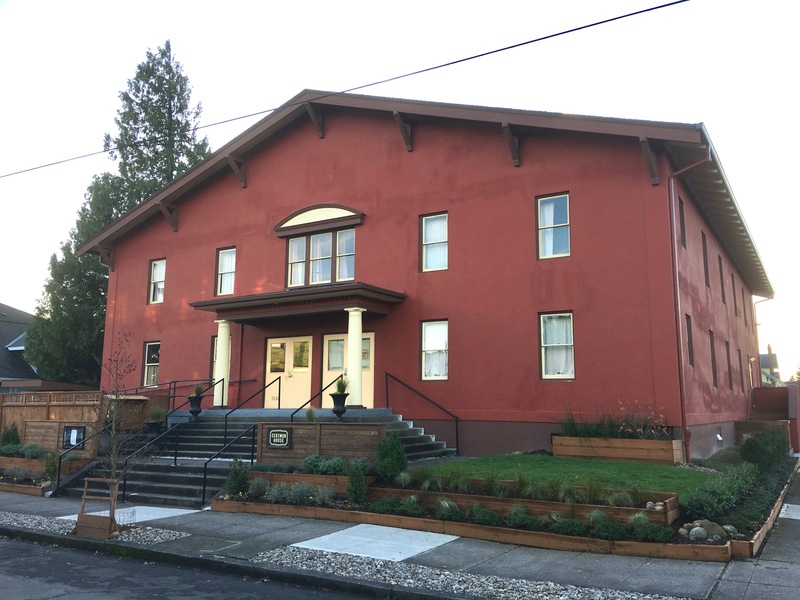 McCaffrey set up the Western Oregon Land and Investment Company for his real estate deals. Dozens of Foxchase real estate transactions show up in the early 1890s. All speculation: the buying and selling of lots. At that point in our history, there wasn’t much up here on these gentle slopes of the Columbia Slough and the Columbia River beyond. Fields, forests, a few dairies here and there; Homestead Act claims from the 1860s held by a couple dozen families. 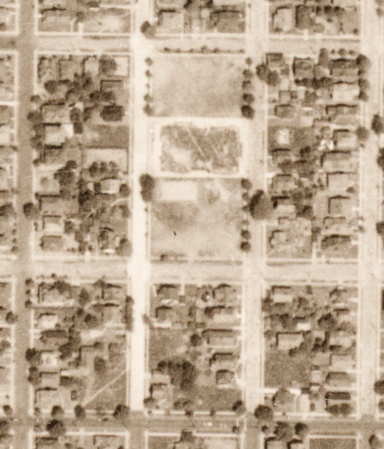 Alberta was a dirt track meandering 10 blocks between MLK (Union Avenue then) and what is today’s NE 15th Avenue. Across the Willamette River, the small grid of what we think of as downtown Portland was getting ready to explode, and investors like McCaffrey knew it. His business was to use other people’s money to buy up open land for the eventual grids of streets and lots that would follow. 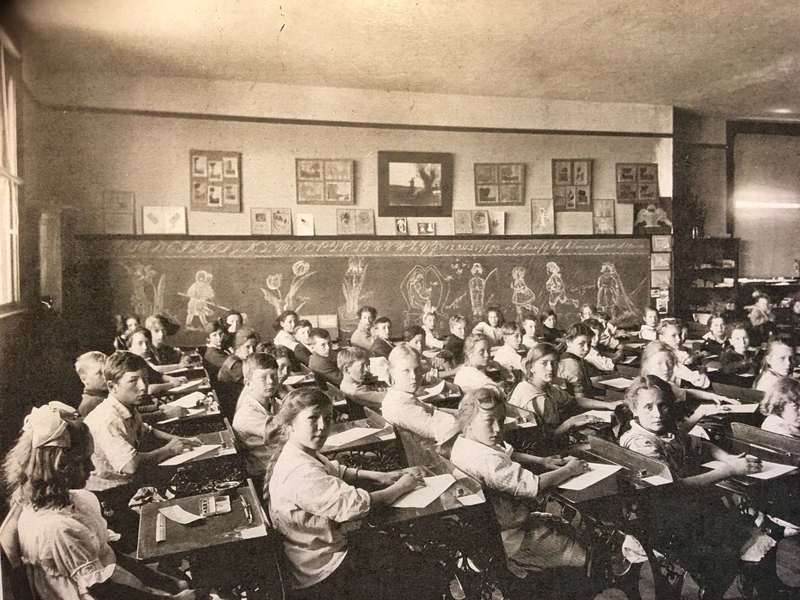 J. Carroll McCaffrey was a Georgetown-educated attorney, born and raised in Philadelphia, who kept a small practice there as well as here in Portland. He and his wife Eugenie were busy on the social scene of both communities and frequent travelers back and forth. 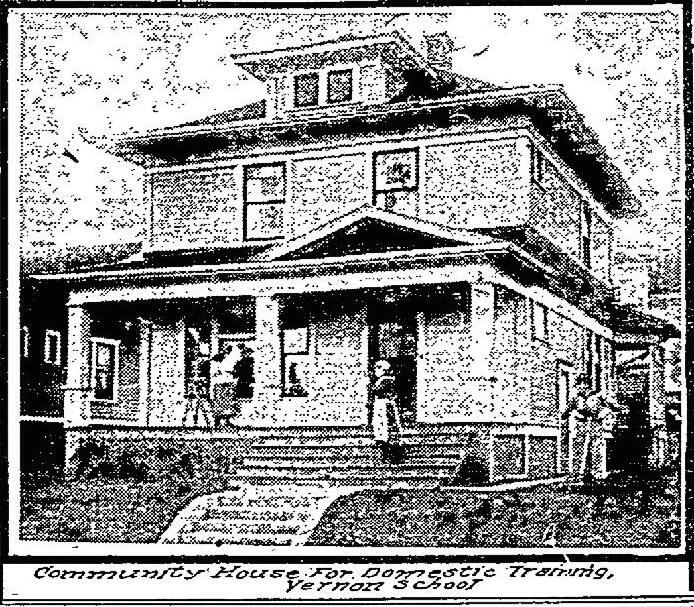 McCaffrey found what he was looking for and was quickly engaged in the development of Portland Heights (southwest Portland), being quoted in the newspaper about the availability and quality of artesian well water in the southwest hills, helping incorporate the Portland Cable Railway Co. to transport people up to the heights, and building a prominent mansion known today as the Markle House to entice development. At the same time as he was speculating on property in the southwest hills, McCaffrey looked to the east side guessing Portland was headed that direction too. He acquired a majority interest in a 15-square block portion of what was the larger 160-acre Donation Land Claim of George Emerson. He and Eugenie platted these 15 blocks as Foxchase. Here’s where the Philadelphia connection comes in. Fox Chase is the name of a comfortable neighborhood in northeast Philadelphia, named for an 18th century inn. During McCaffrey’s timeframe of reference—the 1870s-1880s—Philadelphia’s rich and famous were building their mansions in Fox Chase. He and Eugenie were trying to call that to mind. 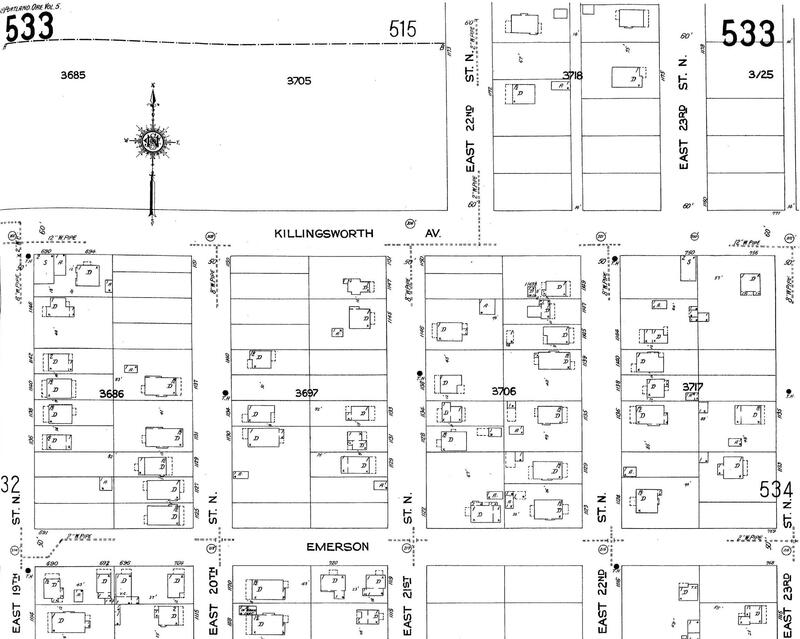 Their choice of street names hit close to home too: Because Alberta didn’t exist except in the Albina area, they planned for that main street on the south end of the plat to be McCaffrey Street. Junker, the next street to the north, was Eugenie’s maiden name. Was Alvan the nick name for one of their four young children? And Birch? Hmm, no birch in that area. Choose any nice tree name. 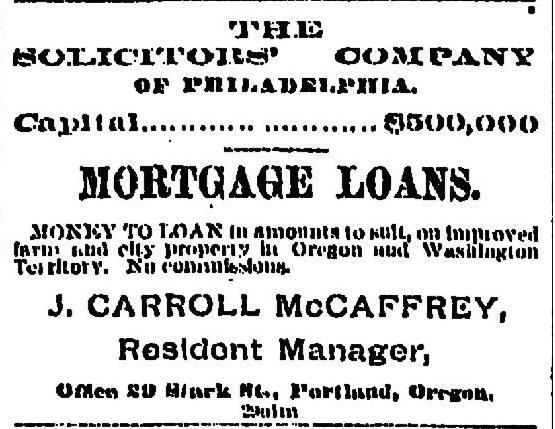 McCaffrey liked what he saw in the land speculation business, and in 1890 incorporated as the Western Oregon Land and Investment Company (that’s his company in the 1890 classified ad up above). He was just getting rolling. 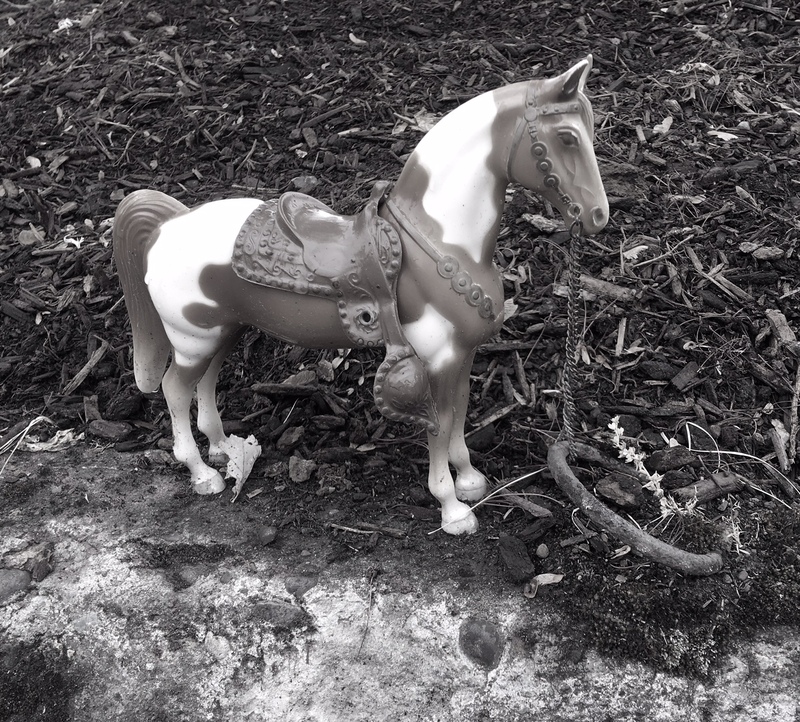 But not long after that, things started to fall apart. McCaffrey unsuccessfully sued his former partners in the southwest Portland cable railway enterprise and George Markle, who bought the mansion McCaffrey had built on Portland Heights. In 1892 McCaffrey was arrested for land fraud related to 80 acres he was trying to sell south of Oregon City, charges he wriggled out of on a technicality. In 1893 he was charged with embezzlement, which he tried to shrug off as a misunderstanding and escaped because of technicality related to evidence. That same year he was accused of fraud by two of his fellow members of the Chamber of Commerce. And, Eugenie was granted a divorce citing inhuman treatment. When he was indicted on check fraud in February 1894, The Oregonian reported that in a period of a few years, McCaffrey had been remanded to a grand jury on a dozen fraud charges of various types. He was no longer able to secure a bondsman to keep him out of trouble, and business must have gotten tight as people discovered he was not a man of his word. Eventually, McCaffrey was convicted of check fraud and served a few months in the Oregon pen before winning on appeal on a technicality, when he fled to his native Philadelphia to resume his legal practice. Here’s where it gets stranger than fiction (a small reward for those of you who have stayed with me this far): In 1895, McCaffrey was hired by the defense team of serial murderer H.H. Holmes (made famous in the book The Devil in the White City…about the “murder castle” near the 1893 Chicago World Fair) to try to persuade Pennsylvania Governor Robert Pattison and the Pardon Board to stay Holmes’s execution. We know McCaffrey was a persuasive attorney when it came to appeals, but not this time. Several months later, McCaffrey took his own life. So, it’s probably OK McCaffrey Street never made it to the map. And interesting that Foxchase is making a comeback, though some still think of it as the northern part of Concordia. 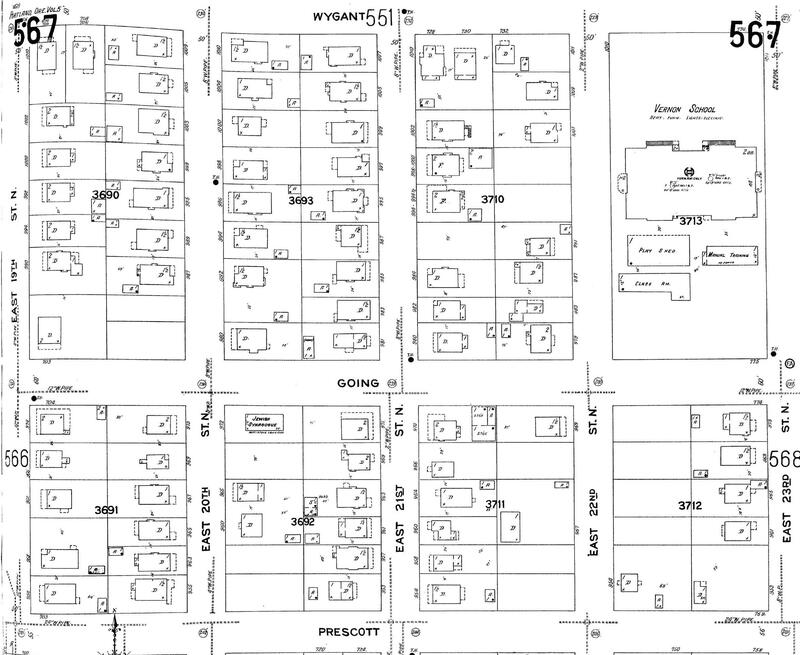 We’ve written here before about the distinction between subdivision or plat names and neighborhood names. Most plat names have disappeared into the fog of the past, no longer used or even known by neighbors who occupy them every day. Plat names were provided by developers when they extended their portions of the grid into the fields and forests that were here before us. 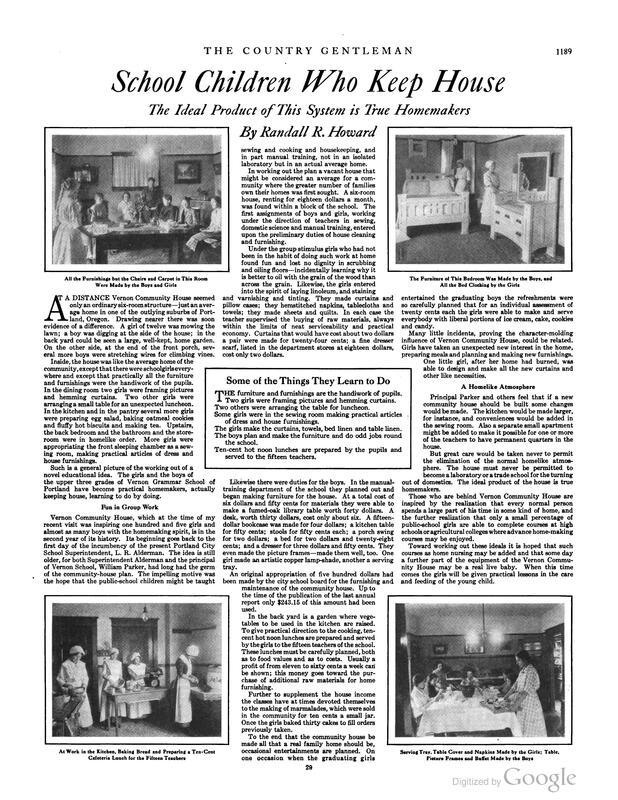 Just like the McCaffreys did, developers tended to choose plat names that sounded attractive or that called to mind the suggestion or essence of a special place. 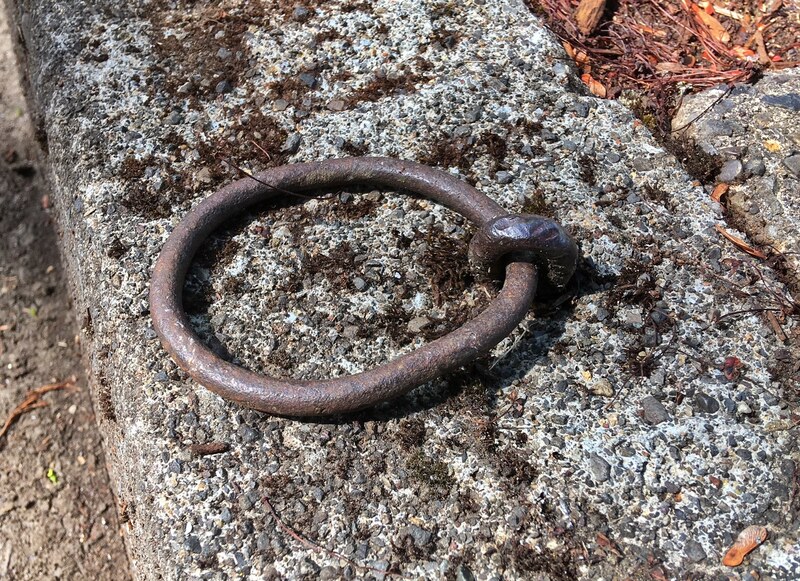 Some of our favorites that exist invisibly under our feet here in northeast Portland today are Manitou, Railroad Heights, Spring Valley Addition, Town of Wayne, Durant’s Nightmare (yes, that’s a real plat name…referring to the nightmare the surveyor had in getting all the survey lines to meet up). Whenever it snows, Alamedans of a certain age and desire for adventure turn to Deadman’s Hill at the top of Stuart Drive for some enjoyable downhill adventure. It’s also a reasonable time for us to remind ourselves of the dead man for whom our hill is anonymously named. Fred Jacobs. The dead man behind Deadman’s Hill. 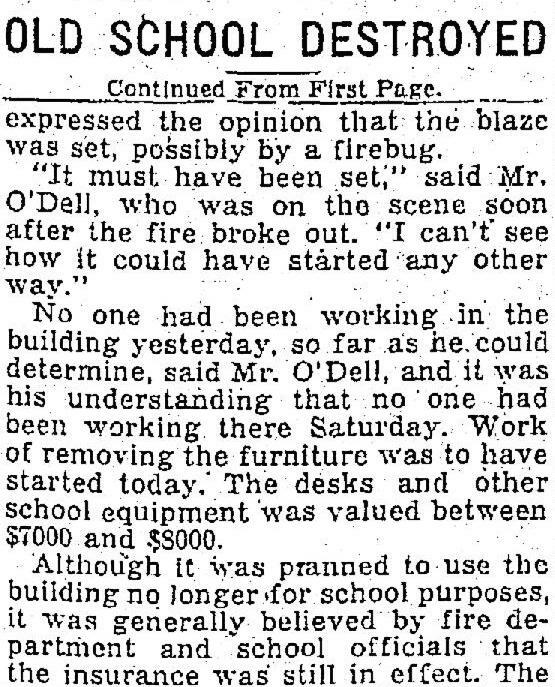 From The Oregonian, June 6, 1917. 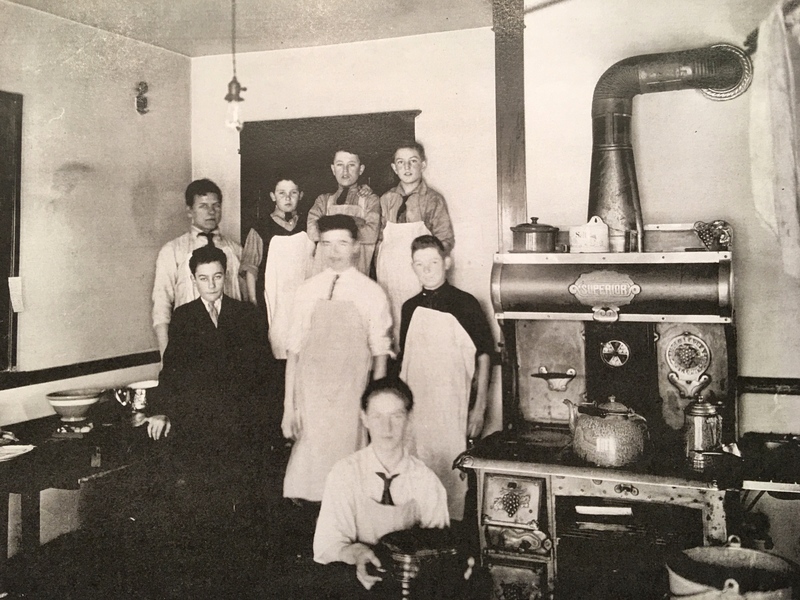 He was Fred Jacobs and his tragic death at the foot of the hill on a sunny June morning in 1917 sent shock waves through Portland’s social and real estate communities, as well as the Alameda neighborhood. You can read our full story behind Deadman’s Hill on this earlier AH Blog post. While you’re at it, you might check out a post we did on historic snowfall a few years back. What does the future hold for Northeast Portland’s old aircraft factory? Thought we’d bring back up to the top a post from a few years back that has new meaning this week. 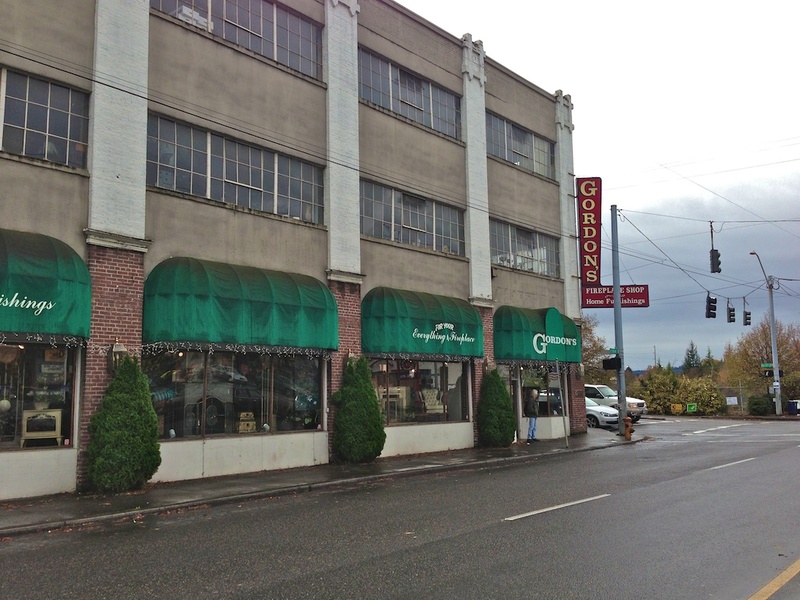 Gordon’s Fireplace Store at the southeast corner of NE 33rd and Broadway is closing. We bet you didn’t know that building was actually an aircraft factory for a short time, and that it was originally built by Alameda resident Oliver K. Jeffrey, who was the prime force behind Oregon Homebuilders, which was a prolific early building firm in Alameda and Olmsted Park before going broke in the late 19-teens. And here’s a link to our post that takes you inside the building, and the story from this week’s Oregonian describing the store closure. 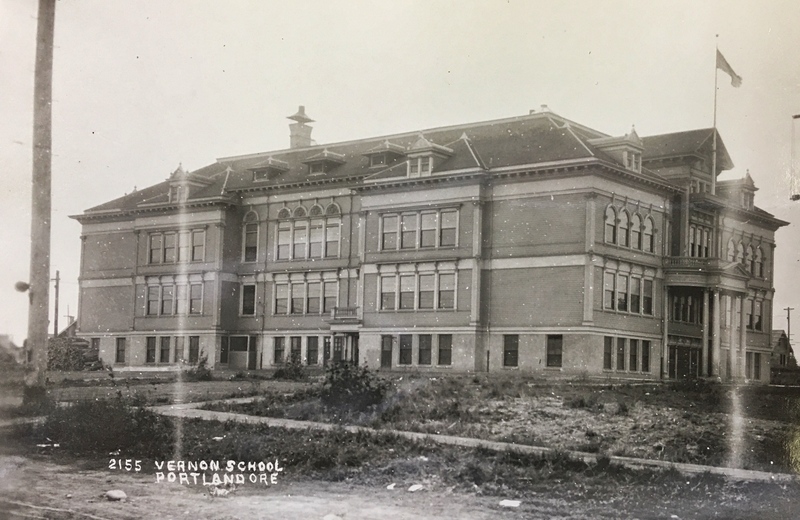 No word yet on what might be next for that building or that corner, but we have hunch the answer might look a lot like the neighbors to the west. This is a story about neighborhoods and about baseball. About community spirit, pride and rivalry. About fundraising. And about fun. 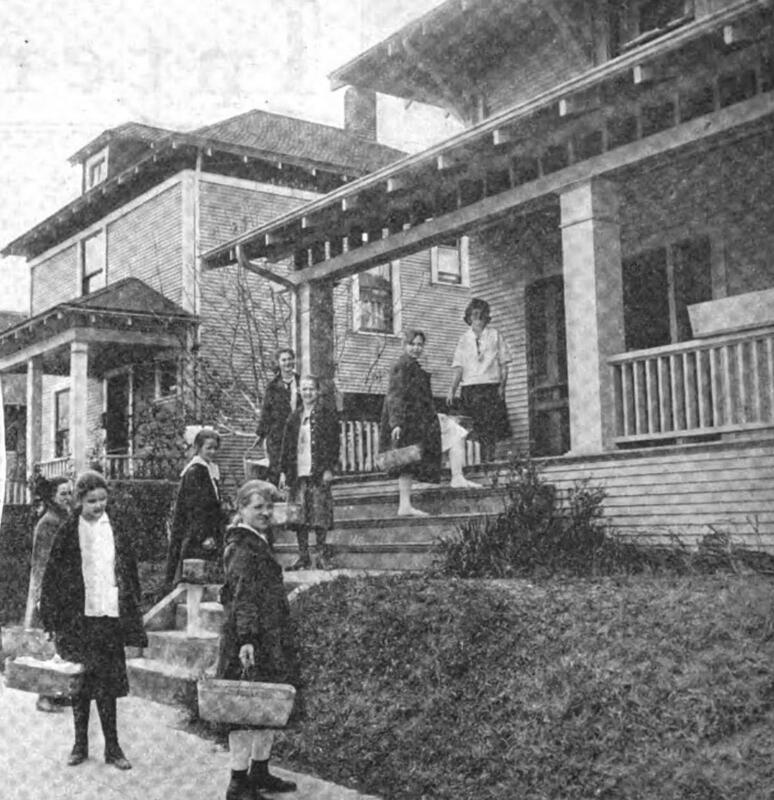 It’s Spring 1920 in Alameda: our recently platted neighborhood is still growing here on Gravelly Hill, streets not long paved, at least a third of the landscape consisting of vacant unbuilt lots. A new streetcar line carries Alamedans across the recently constructed Broadway Bridge. 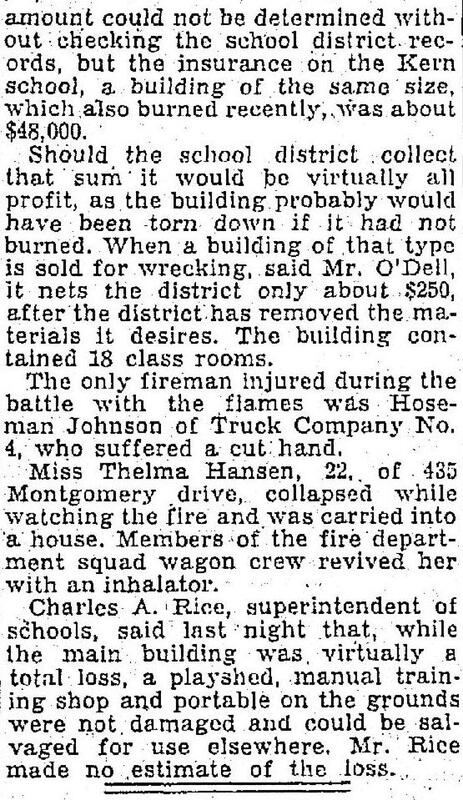 Detail from a story in the June 4, 1920 edition of The Oregonian. Not quite summer, baseball fever grips Portland, where our Pacific Coast League home team, the Portland Beavers, is hosting visiting teams at Vaughn Street Park, a 12,000-seat grandstand that occupied several square blocks in Northwest Portland from 1901-1955. Here in the neighborhood, kids of all ages are out on vacant lots playing ball. Which leads to inspiration for Alameda and Irvington moms and dads raising funds to do good works under the auspices of the Irvington Club: a Saturday afternoon baseball fundraiser, pitting neighborhood against neighborhood, at Multnomah field, today’s Providence Park (also known as Civic Stadium). 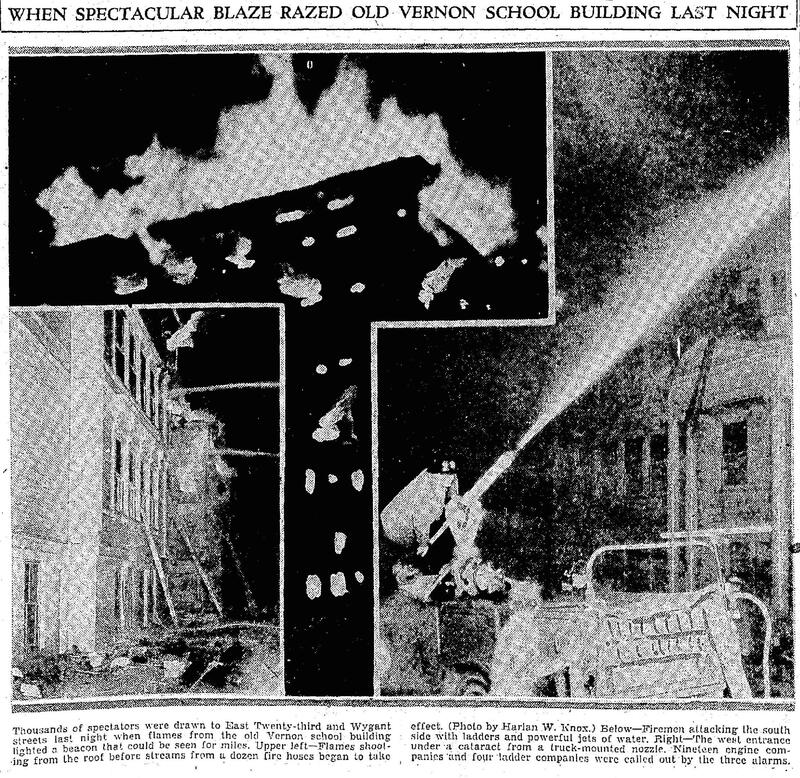 The May 27, 1920 edition of The Oregonian features the headline “ALAMEDA GANG GETS SET; Plans to humble Irvington being made,” calling for practice sessions on the old Alameda School grounds, which at the time was a collection of five temporary buildings at the edge of a dairy pasture on Fremont near where today’s school stands. 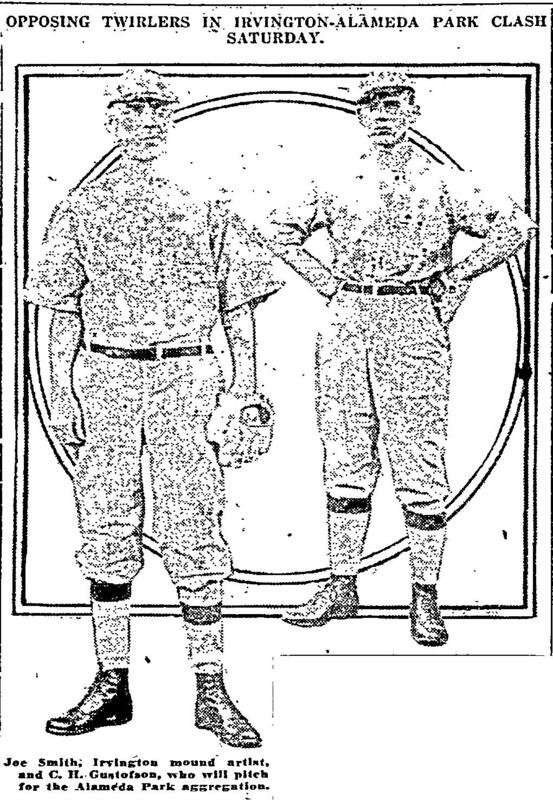 By June 4, 1920 interest was building, and a photograph of the two opposing pitchers appeared in the front of the paper. The reporter was having fun with the story, referring to the pitchers as mound artists, flingers, chuckers and twirlers. 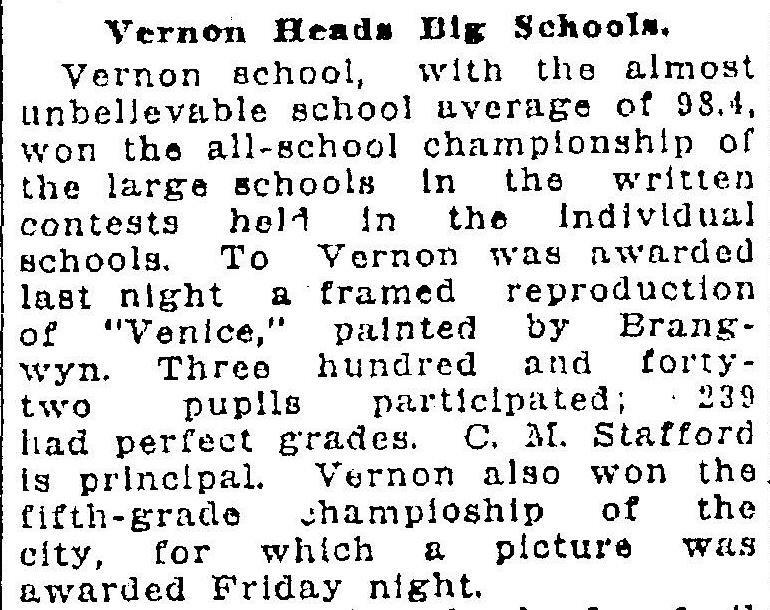 The teams were forming, made up of neighborhood men in their 40s and 50s, a few of which had baseball or some form of athletics in their past. A thinly veiled reference to the Beaver’s near last place finishes in the Pacific Coast League of the early 1920s. 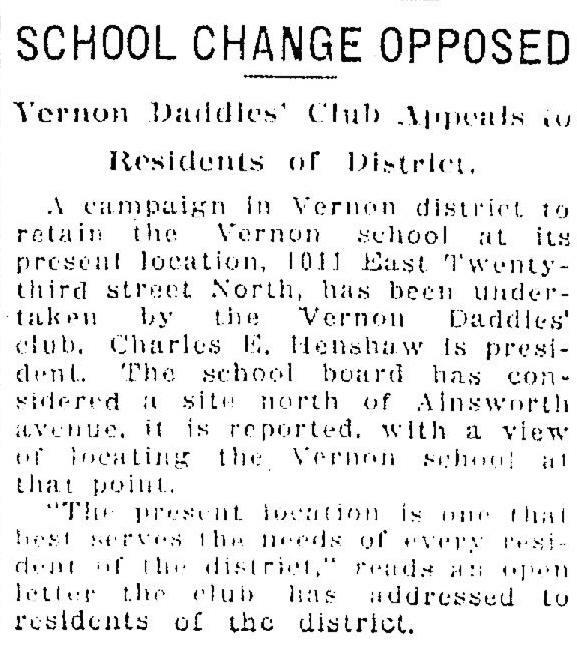 No final fundraising tally was ever printed, but for a few weeks in the spring of 1920, baseball and a friendly neighborhood rivalry gave people something to talk about. 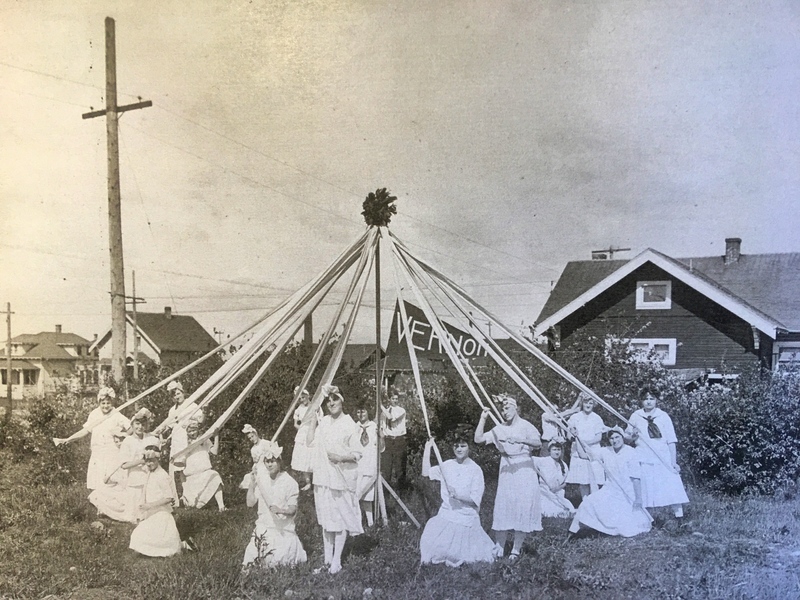 Happy New Year Alameda History readers. Yes, you’re in the right place. We’re starting out 2016 with a new look, which you will have noticed. Most things are about in the same places you would expect to find them. We’re doing some tidying up after the move to our new format, so if you have a question or see something out of place, let us know. Almost all of our original content is now here on the premises. We’ve spent some time with back issues of The Oregonian over the quiet week between Christmas and New Years and have turned up all kinds of interesting gems and an actual real insight or two. We’d like to share one of the gems here as a way of getting our new format and new year off on the right foot. We’re glad to be the one out of ten and bet you are too. Enjoy.